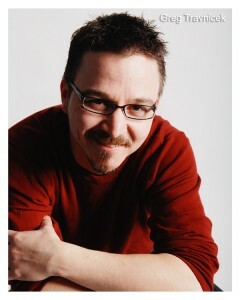 greg is a well educated and accomplished marketer, web designer and graphic artist as well as an entertainer. He began his career early on earning exceptional grades in his art programs, becoming part of many school plays, dramatic presentations and grabbing the lead role in several. He served as the Minister of Activities in his Ontario high school (acting president much of his term). In this position he further explored drama and comedy as a method of stirring up interest in events, finding it to be hugely successful. Later he spent over 6 years as lead singer in bands around Southern Ontario, mainly in the Toronto area. This refined his ability to read an audience and to be able to play to almost any crowd. Then he moved …. in Calgary, Alberta greg was introduced to children’s teaching and entertaining through his home church where he began doing several characters teaching through entertainment and object lessons. greg now travels, doing his show and entertaining at events all over as an EXTREME MENTALIST / MAGICIAN, IMPERSONATOR, CHARACTER ACTOR and all round ENTERTAINER ….. need entertainment – greg does it … and does it well! greg is a former Clown Alley 191 – president and Clown of the Year award winner and has been a guest speaker at Fun Camp for many years. Speaking on character development, marketing, branding, website development and entertainment business.